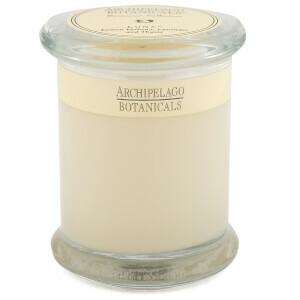 Welcome to the world of Archipelago Botanicals - where natural soy candles, scented diffusers, natural fragrances and bath and body products, make your house a home. As a company, Archipelago Botanicals create products that help people enjoy, relax and take a break from their busy lives. Their gentle and natural based bath and skin care formulations are loaded with powerful antioxidants to help keep skin looking young, healthy and vibrant. Light one of Archipelago's scented soy candles, draw a hot bath and prepare to be pampered. 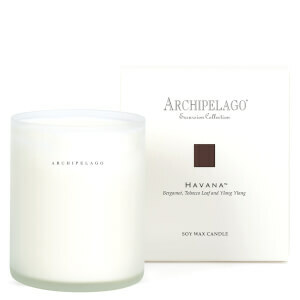 Open up your home to the warmth and luxury of Archipelago Botanicals. From sumptuous body lotions and skin care products with ingredients like pomegranate to soy candles with exotic scents that lift your spirits and take you to far-away lands, Archipelago Botanicals indulges you with botanicals that soothe your body and soul. Their products capture the essence of fruits, herbs, flowers and woodsy and exotic spices to delight your body and fill your home with uplifting and unforgettable fragrances. Archipelago Botanicals Morning Mint Body Wash gently cleanses your skin and awakens your senses with the fragrance of natural mint extracts. Who can feel sluggish when bathing in this invigorating botanical wash? Make it your "go to" morning cleanser to feel revived and ready to take on the day. Archipelago Botanicals Pomegranate Dry Oil Body Spray combines the antioxidant power of pomegranate extract with antioxidant vitamins like vitamin E and C to infuse skin with moisture as the antioxidants provide an extra layer of protection against the environment. 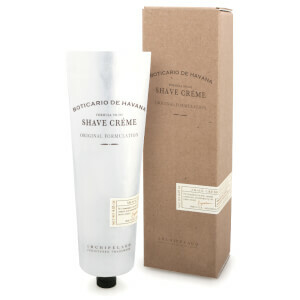 The fresh, fruity scent will awaken your senses as moisturizers smooth and soften your body. Archipelago Botanicals Soy Milk Soap combines milk proteins with soy to gently cleanse away the day's impurities while lifting away dead skin cells that block your skin's natural radiance. Its gentle combination of ingredients make it ideal for any skin type. Whether you choose a product from their body care line or one for your home, Archipelago Botanicals are good to come home to and to take with you when you travel. Sometimes we're looking for a skincare treatment that functions as a full sensory experience, engaging both tactile and olfactory inputs as it does whatever cosmetic work it's designed for. 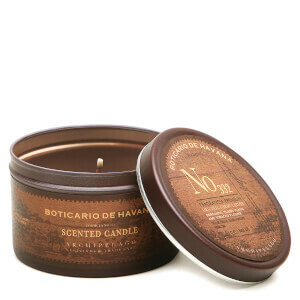 Sometimes, too, we simply want a refreshing and calming scent to instill a meditative atmosphere. 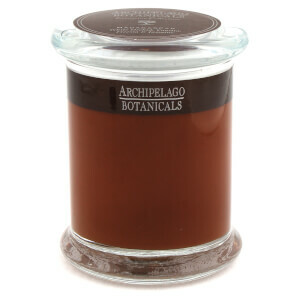 The Archipelago Botanicals Products can provide such experiences, from their aromatic candles to their cleansers and creams. Archipelago Botanicals Products revitalize, refresh, and soothe by employing the power of natural ingredients to maintaining the health of your skin and the well-being of your mind. They're perfectly formulated to nourish you; such are their pacifying, cleansing, and transportive qualities that you may find yourself transcending space with their use. 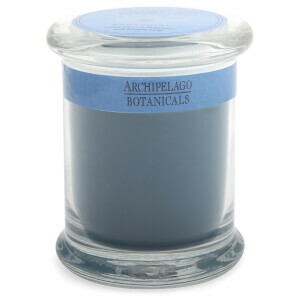 Archipelago Botanicals Products can wash away stress, anxiety, and unease. You'll soon want them fully integrated into your lifestyle, providing a few precious moments entirely devoted to yourself--not some selfish indulgence, but a necessary palliative to life's stresses and tribulations. Best of all, Archipelago Botanicals Products are affordably priced, so you have spa- or clinic-level treatment without breaking the bank. Too many skincare or bath-and-body products rely on harsh chemicals and other irritating artificial ingredients. Archipelago Botanicals Products harness the wonders of plant extracts and other natural agents to provide treatments both healthful and effective. They're easy to incorporate into your day: Once you've given them a try, you'll give yourself a moment or two here and there, whether at morning's onset, in the middle of a stressful day, or in the evening, getting into the mindset for restorative sleep, to take advantage of their rich effects. To create a calming environment wherever and whenever you're in need of relaxation, give the Archipelago Botanicals Candle in a Tin - Luna a try. 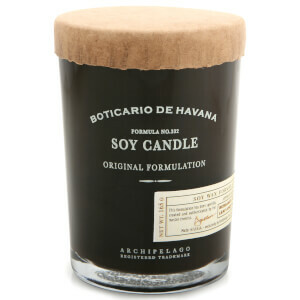 Set a match to the wick of this candle, and you'll not only be providing a centering balm for your nose: It'll feel like the knots are unraveling in your muscles, your back loosening, your psychological hang-ups dissipating. 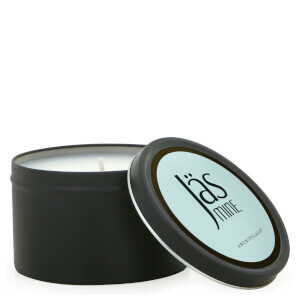 You'll love the aroma of Lemon Verbena, Lavender, and Thyme--a long-lasting one, as this candle burns roughly 55 hours all told. When your skin is feeling scaly, dry, and otherwise fatigued, put the Archipelago Botanicals Oat Milk Hand and Body Cream into action. Bolstered with dried milk and oat proteins, this cream is lustrous and thick, the perfect moisturizing treatment. It's not always easy transitioning from dream-filled sleep to ready-to-go morning initiative--yet every workday demands that efficient transformation. Archipelago Botanicals has an aid for you in this regard: the Archipelago Botanicals Morning Mint Soap, a cleanser endowed with essential oils and mint extracts that washes away the night's cobwebs and delivers you to a pleasant, alert state.